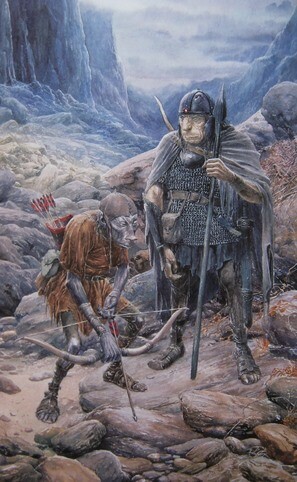 Understanding a bit of where orcs come from we do not however understand how they live. We only ever interact with them through Tolkien’s writing during war, as soldiers and enemies. The same is true for our interaction with them in the card game. We have dozens of orcish foes ranging in titles from things like Horse Thieves, Drummer, Horn Blower, Raiders, Arbalesters, Rabble, Scramblers, Ravager, Skirmisher, Snaga, Hunter, War Party, Grunts, Chieftain, and on and on and on. These do lead us to wonder about orc society, and what do they do when they aren’t at war with the Free People? Are there orcish marching bands that our Dummer and Horn Blower are part of? Do they hold elections for their Chieftains? What do they do with those horses they capture? It seems unlikely that if we were able to dig deeper into their society that we would find much more than a might makes right society always on the brink of war with one another if no common foe presented itself. When you are ready to embark upon a daring mission to save innocent lives from a dark dungeon, Folco Boffin might not be the first name that escapes from your lips in terms of a friend that you might want to bring along. However, he is indeed the hero of this Adventure Pack, and last time around we looked at all the ways in which he can be helpful. This time around, the rest of the player cards in this pack are up for review. Will they serve as a light in the darkness? Or are they better off left in the deepest, dankest cell you can find? Read on to find out! If Fatty Bolger is the Ringo Starr of Frodo’s Shire crew, meaning an underrated contributor to the whole endeavor, if understandably ignored, then Folco Boffin must surely be the Pete Best, long forgotten by most although he did help get the journey started! 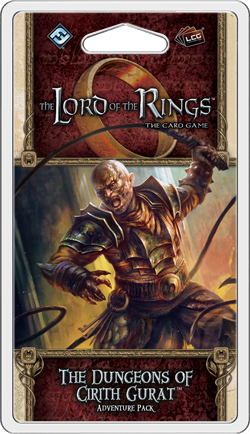 For those of you who are still with me despite a foray into Beatles lore, I am of course talking about Folco Boffin because he is the hero of The Dungeons of Cirith Gurat, the fifth Adventure Pack in the Haradrim cycle. At this point in the life of the game, it’s not too surprising to see an obscure character like Folco emerge in hero form, but it is surely a shocking experience to read his ability for the first time. Is Folco Boffin worth including on your adventure (or album) or should he be left back in the Shire? Read on to find out! With the arrival of our Wilds of Rhovanion box, we have seen a sudden bloom of “Dale Decks” and characters with the Dale trait. While the name of Dale is familiar to anyone who has read the books, what do we really know about Dale and its people? During the time period of our beloved game, Dale has been rebuilt from rubble after its desolation by Smaug. 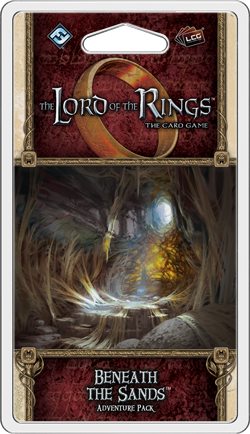 Located in the north east of the Middle-earth map, Dale is nestled in the arms of the Lonely Mountain. 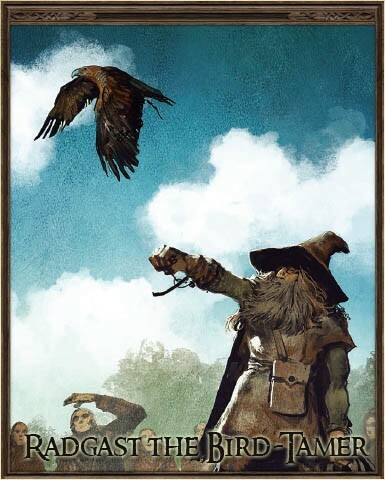 A reader’s first introduction to Dale comes in the Hobbit, during the time of its long destruction. There the river [Celduin, or River Running], after winding a wide loop over the valley of Dale, turned from the Mountain on its road to the Lake, flowing swift and noisily. Its bank was bare and rocky, tall and steep above the stream; and gazing out from it over the narrow water, foaming and splashing among many boulders, they could see in the wide valley shadowed by the Mountain’s arms the grey ruins of ancient houses, towers, and walls. Raiding a camp full of enemy Haradrim doesn’t seem like the safest course of action if you’re looking to live a nice, long life. Still, when push comes to shove and innocent lives are at stake, our heroes are left with little choice in The Black Serpent Adventure Pack. But if they’re going to be successful in this daring raid, they’re going to need some reinforcements. Do the player cards in this pack provide the aid that is needed? Or will they leave the heroes of Middle-earth bringing a butter knife to a sword party? Read on to find out! 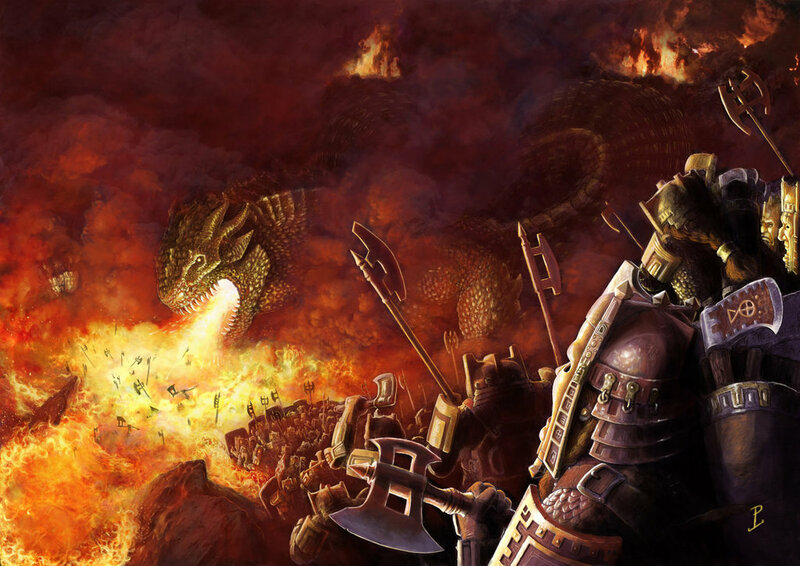 First Age: The Fall of Nargothrond Released! The time has finally arrived for the release of the fourth scenario in the Doom Mastered cycle! 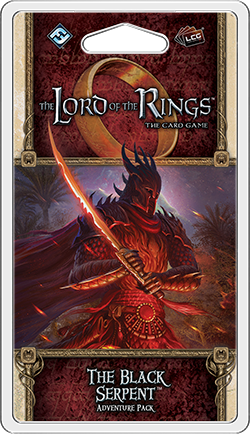 If you are not familiar with what this means, the Doom Mastered cycle is a series of player cards and quests that continues the custom First Age expansion I created based on the characters and events of the Silmarillion. In particular, the Doom Mastered cycle follows the tragic story of Turin Turambar.